Complete Tallapoosa County, AL accident reports and news. In Tallapoosa County, statistics from the National Highway Traffic Safety Administration show that traffic crashes remain a primary public safety issue. Car, truck, bicycle, pedestrian, and motorcycle accidents are all a common occurrence, despite improvements in vehicle safety features, road design, bicycle and pedestrian corridors, and traffic signs. 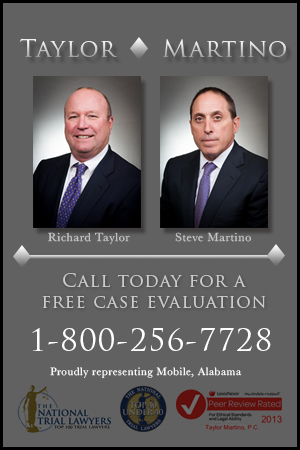 After a Tallapoosa County accident, there are many issues that need to be handled immediately. Dealing with doctors, repair shops, car rental companies, police, and insurance companies is overwhelming, especially when someone is seriously injured. At this point, many injured people choose to hire a personal injury attorney whose job it is to handle the details and paperwork so that you can focus on recovery. When someone has been injured or killed in a motor-vehicle collision, the accident victim and their family members are left with medical bills, lost income, and other costs. It is important to get legal assistance to help the accident victim recover, or when the accident is fatal, to help the family members get fully compensated for their losses. 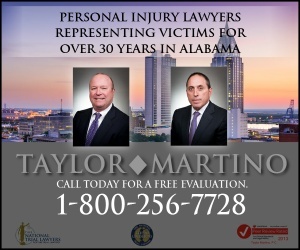 Learn more about how a Tallapoosa County personal injury attorney will help injured victims and families. Two vehicles collided at the intersection of Lovelady Road and Alabama 50, resulting in the death of a 98-year-old woman. The woman was riding as a passenger in a vehicle and was rushed to University of Alabama at Birmingham hospital, but she died of her injuries while being treated. Chase Randal Benton was riding on Obed Lopp Road when his vehicle left the roadway and overturned. Jalaura Holley, 16, killed, two others injured, taken to hospital, after a 3-vehicle crash at an intersection on U.S. 280, west of Alexander City. 16-year-old girl was killed Monday in a crash in Coosa County. The Alabama State Troopers identified the girl as Jalaura Holley of Goodwater. Troopers said she was a passenger in a 1992 Lexus ES300 that collided with an SUV. Linda Faye Parrish, 51, dies of her injuries, after her car left the Alabama 22 roadway near Daviston, and crashed into a tree. A Tallapoosa County woman died Sunday from injuries she sustained in a Saturday traffic crash.